Babysitting Mania Let's hope your babysitting skills are up to par. Let's hope your babysitting skills are up to par. You finally passed your babysitting course and are ready to help your school raise money. Can you take care of a whole family of rowdy children? 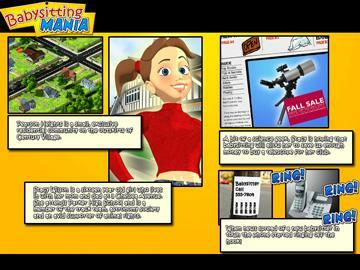 If you liked Carrie the Caregiver you'll love Babysitting Mania, the sequel to the smash-hit Nanny Mania game. What you didn't expect was twenty different houses you ever imagined! Babysitting Mania starts you out slow, but soon you'll be facing a barrage of kids, birthday parties and huge houses to get in order, all before bedtime! 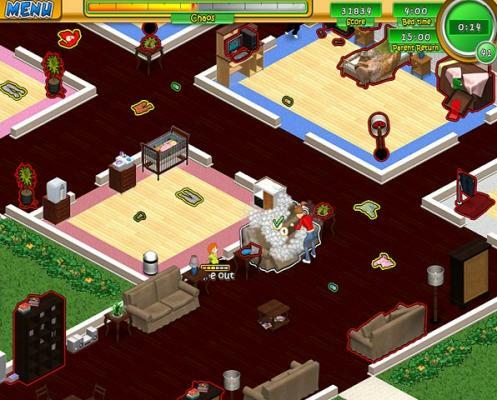 Learn the nuiances of each family, but most importantly: Have fun! Birthday Party Mode will keep you on your toes.